Yoshiyuki Tomino(富野 由悠季,Tomino Yoshiyuki, born 富野 喜幸 November 5, 1941) is a Japanese mecha anime creator, animator, songwriter, director, screenwriter and novelist. He was born in Odawara, Kanagawa Prefecture, and studied at Nihon University's College of Art. He is best known for creating the Gundam anime franchise. Odawara is a city in Kanagawa Prefecture, Japan. Kanagawa Prefecture is a prefecture located in Kantō region of Japan. The capital of the prefecture is Yokohama. Kanagawa is part of the Greater Tokyo Area. Kanagawa Prefecture is home to Kamakura and Hakone, two highly popular side trip destinations from Tokyo. Nihon University, abbreviated as Nichidai (日大), is a private research university in Japan. Yamada Akiyoshi, the Minister of Justice, founded Nihon Law School, currently the Department of Law, in October 1889. Tomino, began his career in 1963 with Osamu Tezuka's company, Mushi Productions, scripting the storyboards and screenplay of the first Japanese anime television series, Tetsuwan Atomu (also known as Astro Boy ). He later became one of the most important members of the anime studio Sunrise, going on to direct numerous anime through the 1970s, 1980s and 1990s. Tomino is perhaps best known for his transformation of the "Super Robot" mecha anime genre into the "Real Robot" genre with 1979's Mobile Suit Gundam , the first in the Gundam franchise. He has also won numerous awards, including the "Best Director" award at the recent 2006 Tokyo International Anime Fair (for the 2005 film Mobile Suit Zeta Gundam: Heirs to the Stars ). Two anime series directed by Tomino (Mobile Suit Gundam in 1979– 80 and Space Runaway Ideon in 1980) won the Animage Anime Grand Prix award. Osamu Tezuka was a Japanese manga artist, cartoonist, animator, and film producer. Born in Osaka Prefecture, his prolific output, pioneering techniques, and innovative redefinitions of genres earned him such titles as "the father of manga", "the godfather of manga" and "the god of manga". Additionally, he is often considered the Japanese equivalent to Walt Disney, who served as a major inspiration during Tezuka's formative years. Though this phrase praises the quality of his early manga works for children and animations, it also blurs the significant influence of his later, more literary, gekiga works. Astro Boy, known in Japan by its original name Mighty Atom, is a Japanese manga series written and illustrated by Osamu Tezuka. It was serialized in Weekly Shonen Magazine from 1952 to 1968. The original 112 chapters were collected into 23 tankōbon volumes by Kodansha. The English volumes would not become available until 2002 when the rights were licensed by Dark Horse. 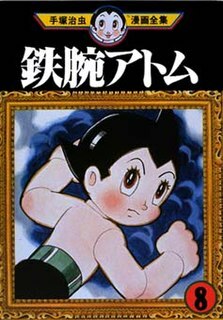 The story follows the protagonist, Astro Boy, an android with human emotions who is created by Umataro Tenma after the death of his son. Eventually, Astro is sold to a robot circus run by Hamegg, but is saved from his servitude by Professor Ochanomizu. Astro becomes a surrogate son to Ochanomizu who creates a robotic family for Astro and helps him to live a normal life like an average human boy, whilst accompanying him on many adventures. Sunrise Inc. is a Japanese animation studio and production company which is a subsidiary of Bandai Namco Holdings. Its former name was Nippon Sunrise and, before that, Sunrise Studios. Its headquarters is in Suginami, Tokyo. Tomino is known for using numerous pseudonyms for miscellaneous staffing roles that he performs in his works, including Minami Asa(阿佐 みなみ,Asa Minami) and Minoru Yokitani(斧谷 稔,Yokitani Minoru), which are used to credit himself for screenplays and storyboards he creates, Rin Iogi(井荻 麟,Iogi Rin), which he uses to credit himself for theme song lyrics he writes. Tomino (as Iogi) has collaborated with artists such as Yoko Kanno, Asei Kobayashi, MIO and Neil Sedaka. Yoko Kanno is a Japanese composer, arranger and musician best known for her work on the soundtracks on anime films, television series, live-action films, video games, and advertisements. She was born in Sendai, Miyagi Prefecture, Japan. 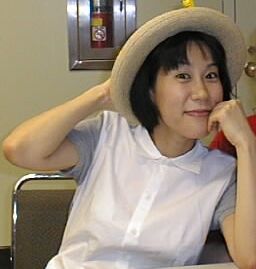 She has written scores for Cowboy Bebop, Darker than Black, Macross Plus, Turn A Gundam, The Vision of Escaflowne, Ghost in the Shell: Stand Alone Complex, Wolf's Rain, Kids on the Slope and Terror in Resonance, and has worked with the directors Yoshiyuki Tomino, Shinichirō Watanabe and Shōji Kawamori. Kanno has also composed music for pop artists Maaya Sakamoto and Kyōko Koizumi. She is also a keyboardist, and is the frontwoman for the Seatbelts, who perform many of Kanno's compositions and soundtracks. Neil Sedaka is an American pop singer, pianist, composer and record producer. Since his music career began in 1957 as a short-lived founding member of the Tokens, he has sold millions of records as an artist and has written or co-written over 500 songs for himself and others, collaborating mostly with lyricists Howard Greenfield and Phil Cody. 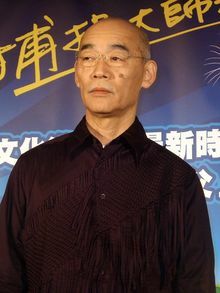 Tomino is noted for directing several well-known anime series throughout his career, such as his most notable work, the Mobile Suit Gundam series, beginning in 1979, and which was later followed onto numerous sequels, spinoffs and merchandising franchises, Aura Battler Dunbine , Brave Raideen (in which he directed the first 26 episodes), and numerous others. His newer work includes Brain Powerd (1998), Turn A Gundam (1999), Overman King Gainer (2002) and most recently, Gundam Reconguista in G (2014). Mobile Suit Gundam is a televised anime series, produced and animated by Sunrise. Created and directed by Yoshiyuki Tomino, it premiered in Japan on Nagoya Broadcasting Network and its affiliated ANN stations on April 7, 1979, and lasted until January 26, 1980, spanning 43 episodes. It was the very first Gundam series, which has subsequently been adapted into numerous sequels and spin-offs. Set in the futuristic calendar year "Universal Century" 0079, the plot focuses on the war between the Principality of Zeon and the Earth Federation, with the latter unveiling a new giant robot known as the RX-78-2 Gundam piloted by the teenage civilian mechanic Amuro Ray. In the broadest sense, merchandising is any practice which contributes to the sale of products to a retail consumer. At a retail in-store level, merchandising refers to the variety of products available for sale and the display of those products in such a way that it stimulates interest and entices customers to make a purchase. Aura Battler Dunbine is an anime television series created by Yoshiyuki Tomino and produced by Sunrise Studios. Triton of the Sea is a manga series created by Osamu Tezuka, and an anime directed by Yoshiyuki Tomino based on the manga. The series, which had 27 episodes, was broadcast from April 1 to September 30, 1972. Digital Manga successfully crowd-funded the U.S. release of the manga on Kickstarter in 2012. In 1975, Tomino worked on Brave Raideen , his first mecha work, in which he directed the first 26 episodes. Raideen was renowned and influential in its innovative portrayal of a giant machine of mysterious and mystical origins, and has gone on to inspire numerous other directors and series, including Yutaka Izubuchi's 2002 series, RahXephon . Tomino also later worked on 1977's Voltes V .
The term mecha may refer to both scientific ideas and science fiction genres that center on giant robots or machines controlled by people. Mechas are typically depicted as humanoid mobile robots. Yutaka Izubuchi is a Japanese anime designer and director. Izubuchi is credited for designing costumes, characters and creatures, but most of his designs are mechanical. He created and directed the RahXephon series and also created a manga story called Rune Masquer. 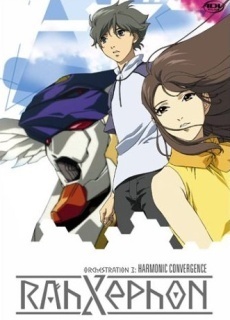 RahXephon is an anime series about 17-year-old Ayato Kamina, his ability to control a mecha known as the RahXephon, and his inner journey to find a place in the world. His life as a student and artist in Tokyo is suddenly interrupted by a mysterious stalker, strange planes invading the city and strange machines fighting back. In 1980, Tomino directed Space Runaway Ideon , a series which like Mobile Suit Gundam was cancelled on its initial run, but featured movie versions later on. The series is known for its darker story elements. Tomino followed up with a more light-hearted spin-off called Xabungle, but the darker nature of Ideon continued with 1983's Aura Battler Dunbine . In 1984, Tomino released Heavy Metal L-Gaim . The following year, Tomino directed the first sequel to 1979's Mobile Suit Gundam, Mobile Suit Zeta Gundam . Tomino's involvement in the following Gundam series, 1986's Mobile Suit Gundam ZZ created an upbeat, comedic theme whereas the earlier Gundam's are of a darker theme. In 1988, Tomino concluded the saga begun in Mobile Suit Gundam with the Gundam motion picture Char's Counterattack . In 1993, Tomino directed his next Gundam series, Victory Gundam , which (like F91 before) attempted to relaunch the Gundam saga with a completely new cast. In 1996, Tomino wrote and directed Garzey's Wing , and in 1998 wrote and directed Brain Powerd . In 1999, he returned to Gundam with Turn A Gundam and in 2002, directed two compilations movies for it entitled Turn A Gundam I: Earth Light and Turn A Gundam II: Moonlight Butterfly. Also in 2002, he directed Overman King Gainer , and in 2005, Tomino directed 3 compilation movies summarizing the events of 1985's Zeta Gundam. His last major original work in the 2000s was the 6-episode OVA The Wings of Rean , which first premiered on the Internet across Bandai Channel, the broadcast beginning from December 12, 2005 with the final episode starting on August 18, 2006. Also in 2006, Tomino made a special cameo appearance in Shinji Higuchi's tokusatsu film Japan Sinks . After working on the CGI short Ring of Gundam for Gundam's 30th anniversary in 2009, Tomino returned to the franchise again for its 35th anniversary in 2014 in a new work in which he wrote and directed, Gundam Reconguista in G .
Mobile Suit Zeta Gundam is a 1985 Japanese television anime series, the second installment in the Gundam franchise, and a sequel to the original Mobile Suit Gundam. The show was created and directed by Yoshiyuki Tomino, with character designs by Yoshikazu Yasuhiko, while the series' mechanical designs is split among Kunio Okawara, Mamoru Nagano, and Kazumi Fujita. The series was originally aired on Nagoya Broadcasting Network and its sister ANN stations between 1985 and 1986. Between 2005 and 2006, the series was reproduced and compiled into a movie trilogy, Mobile Suit Zeta Gundam: A New Translation. Though still directed by Tomino, it involved many changes in the original storyline. Mobile Suit Gundam ZZ is the third installment in Sunrise's long running Gundam franchise. A direct follow up to Mobile Suit Zeta Gundam, it is directed and written by Yoshiyuki Tomino, and he assembled a new team consisting of character designer Hiroyuki Kitazume, who had been one of Zeta Gundam's animation directors, and mechanical designers Makoto Kobayashi, Yutaka Izubuchi and Mika Akitaka. Initially airing on Nagoya Broadcasting Network and affiliated ANN stations in Japan, the series was later aired by the anime satellite television network, Animax, across Japan and its respective networks worldwide, including Southeast Asia, Hong Kong, South Asia, and other regions. The video streaming website Daisuki currently has the rights to stream the series worldwide. Sunrise themselves released the series on home video via Right Stuf Inc. to North America in 2015. Mobile Suit Victory Gundam, is a 1993 Japanese science fiction anime television series. It consists of 51 episodes, and was directed by Gundam creator Yoshiyuki Tomino. The series was first broadcast on TV Asahi. It is the fourth installment in the Gundam franchise and the final full series to be set in the Universal Century calendar. Turn A Gundam, also stylized as ∀ Gundam, is a 1999 Japanese mecha anime series produced by Sunrise, and aired between 1999 and 2000 on Japan's FNN networks. It was created for the Gundam Big Bang 20th Anniversary celebration, and is the eighth installment in the Gundam franchise. It was later compiled in 2002 into two feature-length movies entitled Turn A Gundam I: Earth Light and Turn A Gundam II: Moonlight Butterfly. Amuro Ray is a fictional character introduced in Sunrise's 1979 anime series Mobile Suit Gundam. Amuro is a mechanic who becomes the pilot of the mecha known as RX-78-2 Gundam to protect himself from the Zeon forces invading his space colony during the war. He becomes an Earth Federation pilot in the war as well as the first Newtype, a type of human with special awareness which gives him great skills when fighting. The Gundam franchise explores Amuro's involvement in the wars piloting the titular mecha. He returns in the sequel, Mobile Suit Zeta Gundam and the feature film Mobile Suit Gundam: Char's Counterattack where he takes part in new conflicts. He is voiced by Tōru Furuya (Japanese), Brad Swaile, Michael Lindsay, Matthew Erickson, Fryda Wolff and Lucien Dodge. Mobile Suit Gundam F91 is a 1991 anime film. It was Gundam creator Yoshiyuki Tomino's attempt to launch a new Gundam saga, set 30 years after Char's Counterattack and 27 years after the later published Gundam Unicorn. He re-teamed with character designer Yoshikazu Yasuhiko and mecha designer Kunio Okawara for the occasion. The movie was first released in Japan on March 16, 1991. Space Runaway Ideon is a 1980 anime television series produced by Sunrise, created and directed by Yoshiyuki Tomino, produced immediately following his most famous work, Mobile Suit Gundam. It first premiered on TV Tokyo from 1980 to 1981, followed by two feature films in 1982, and was later broadcast in Japan by the satellite TV network Animax from September 2006. Mamoru Nagano is a Japanese manga artist, animator, and mecha designer. Kunio Okawara is a mechanical designer in the Japanese anime industry. Okawara was the first in the industry to be specifically credited as a mechanical designer. He designed mecha for the Gundam and Brave Series franchises, as well as those of numerous Super Robot and Real Robot shows. Brain Powerd is a Japanese anime television series created by Sunrise. The series is set on a future, decimated Earth after the discovery of a mysterious, alien spacecraft dubbed "Orphan". A group of researchers scour the planet for Orphan's disc plates using mecha called "Antibodies" in order to revive the craft, an event that would result in the utter destruction of all lifeforms on Earth. The protagonists Yu Isami and Hime Utsumiya must utilize a special Antibody called "Brain Powerd" to counter the Orphan plans and save humanity. Brain Powerd was directed and written by Gundam creator Yoshiyuki Tomino. The series features mecha designs by Mamoru Nagano, character designs by Mutsumi Inomata, and music by Yoko Kanno. Another Century's Episode 2, abbreviated as A.C.E. 2, is a third-person mecha action video game produced by Banpresto and developed by From Software. It is the sequel to the popular 2005 game Another Century's Episode. It was released for the PlayStation 2 on March 30, 2006. Tomonori Kogawa is a Japanese animator and character designer, often noted for his work in the 1980s with noted anime studio Sunrise. Hiroyuki Kitazume is a Japanese animator, manga artist, and illustrator. He is often noted for his work with anime studio Sunrise. Helen McCarthy in 500 Essential Anime Movies commented that he "shot to fame" in 1985 as a character designer on the Zeta Gundam TV series. MIQ, previously known as MIO, is a Japanese pop singer and vocal trainer from Minato, Tokyo. She is known for her performances on the soundtracks of various anime, notably the theme songs of Sunrise's Aura Battler Dunbine and Heavy Metal L-Gaim. The throaty, soulful timbre of her voice was uncharacteristic of Japanese vocalists of the 1980s. Mecha anime and manga, known in Japan as robot anime and robot manga, are anime and manga that feature robots (mecha) in battle. The genre is broken down into two subcategories; "super robot", featuring super-sized, implausible robots, and "real robot", where robots are governed by realistic physics and technological limitations. Kenji Uchida is a Japanese anime producer. He is noted anime studio Sunrise's president. Yasuhiro Imagawa is a Japanese anime director and screenwriter. Much of his work evokes nostalgia for 1970s super robot mecha anime. Osamu Sekita is a Japanese anime director and storyboard artist. He is known for directing series such as Beast Wars II, Beast Wars Neo, Cross Game, Strawberry 100%, and Transformers: Robots in Disguise, as well as the OVA series Osu!! Karate Bu, Shin Captain Tsubasa, and U-Jin Brand. ↑ "Tokyo Anime Fair: Award Winners", Anime News Network, 27 March 2006. 1 2 Machiyama, Toma (December 2002). "Interview with Yoshiyuki Tomino - The creator of Gundam, before & after!". Animerica. Vol. 10 no. 12. pp. 40–41. ↑ "Profile: Tomino Yoshiyuki". 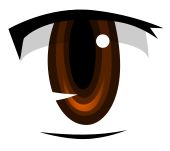 AnimeAcademy.com. Archived from the original on June 18, 2007. Retrieved 5 August 2007. ↑ ロボットアニメ万歳 (in Japanese). Archived from the original on 28 February 2007. Retrieved 22 February 2007. ↑ コラム (in Japanese). Mondo 21. Archived from the original on 24 October 2007. Retrieved 22 February 2007. ↑ "Kill Em All Tomino". The Gundam Encyclopedia. Retrieved 5 August 2007. ↑ Simmons, Mark (2002). Gundam The Official Guide. Seiji Horibuchi. p. 41. ISBN 1-56931-739-9. ↑ Machiyama, Toma (2002). Animerica Volume 10, Number 12 Article. Seiji Horibuchi. p. 37. ↑ "TV Asahi Top 100". Anime News Network. 23 September 2005. Retrieved 5 August 2007.